The University of Greenwich’s Primary Partnership is an outstanding provider of initial teacher training (Ofsted 2016). The partnership comprises over 200 maintained schools and academies across 19 local authorities in London, Kent, Essex and the southeast of England. 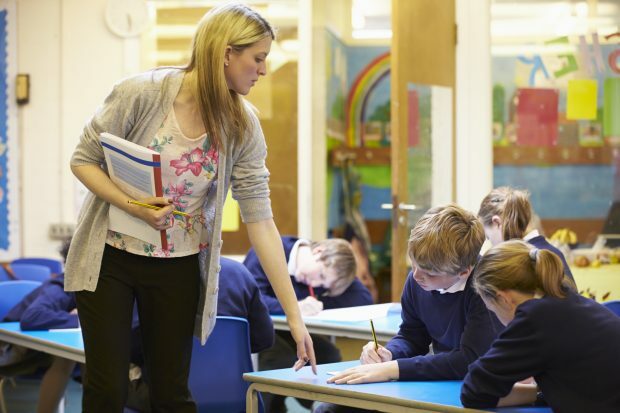 How we can support our partnership schools to share good practice as they respond to the reports, finding sustainable solutions to teacher workload concerns. We believe that collaboration and sharing of practice between professionals is an important vehicle for change. With this in mind, as part of our commitment to supporting our partnership we initially organised a partnership conference on tackling teacher workload. Leaders at all levels – including governors - promoting a shift in language from ‘marking’ to ‘feedback’. The importance of teachers training pupils to review and reflect on their work. Use of mini-plenaries as an effective strategy for teachers to provide immediate feedback on learning and share examples of work by pupils to model aspects of learning. Shared understanding of the purpose of planning. Greater emphasis that planning is concerned with a process rather than the production of a lesson plan. Where planning formats are used - review them to change the focus to sequences of lessons rather than on individual lessons. Share good practice across the school and between schools. Review of what are the minimum requirements necessary for effective planning to avoid unnecessary information and ‘box-filling’ on templates. Review ways in which, where possible, PPA time can be used for collaborative planning opportunities. The use of technology to support efficient use of time when planning. We all found the event interesting and thought provoking, and it helped in our desire to try to address issues around teacher workload. To consider the implications arising from the conference in terms of the individual and their particular setting and importantly the implications on how to support trainee teachers and teachers in the early stages of their career. The workload event stimulated excellent discussion and practical ideas to improve the future recruitment and then retention of motivated teachers. A key issue for the partnership is the development of practical strategies for a student to use to prioritise effectively the variety of school tasks into those that only support the safety, well-being, learning and progress of all pupils. Outcomes for school leaders also highlighted the need to inspire and energise students into focusing on the quality of the delivery of the curriculum and the importance of shielding the practice from low value tasks. Facilitation of further events in the form of #TeachMeets for partners to informally come together to share approaches, good practice, practical innovations and personal insights into particular aspects of the Workload Reports. ‘#Teach Meets’ are organised but informal opportunities for teachers to volunteer to share good practice, practical innovations and personal insights into teaching and learning. Organising a cross-phase national partnership conference that includes governors to focus specifically on how schools can achieve principled assessment practice whilst protecting workload and wellbeing. Schools-led Professional Development Days: Twenty-three partner schools have run a series of in-school professional development days for our trainee teachers. They have consisted of a number of our partners sharing their good practice, specifically in relation to effective feedback and approaches to planning sequences of lessons. These have provided our students with an opportunity to see a range of practical strategies in different contexts and discuss their impact with teachers and leaders. As one teacher remarked, ‘today’s workshop was so beneficial for my on-going professional development. It has provided me with a range of new practical ideas and strategies to support my planning which will help with my workload in my first year as an NQT’. School-based training: As part of our student teachers’ school-based training requirements, we have developed specific tasks to support their engagement with the workload reports. These ask them to reflect on approaches being taken in school and consider the implications for their personal and professional development to support them to work more efficiently. Questions to scaffold critical reflection have been developed – e.g. ‘what aspects of feedback are having the most positive impact?’, ‘how is your school providing quality feedback without increasing teacher workload?’ Etc. Wellbeing: We strongly believe that the mental and physical wellbeing of our student teachers is as important as their subject knowledge and pedagogical understanding. Consequently, as part of our annual theme week our focus this year has been drawing upon expertise within our Faculty and partnership to support students with strategies and techniques to increase their physical and mental wellbeing and reduce stress. Embed good practice and strategies in relation to teacher workload within our NQT transition events and support for NQTs. This will include hosting webinars for our NQTs and using online forums with them to share good practice with one another and encourage and foster a culture of online collaboration, problem solving and support. Our focus has not been limited to ensuring that our student teachers have been able to learn about real, practical ways to manage their workload and work efficiently in relation to planning, feedback and assessment. We have also reviewed the demands on our student teachers whilst on school experience particularly focusing on the planning burdens placed on our trainees. This work has been driven by a schools-led review group involving six of our school partners who are due to report on further recommendations and actions early in the new academic year. Further consider the demands on mentors and how, as a partnership, we can review our expectations to support their workload. Overall, what has come through very strongly through the discussions with partners is that workload, and the pressures it produces, can be managed more effectively through collaborative teacher learning and dialogue. Knee-jerk changes should be avoided at all costs. If changes are to be sustainable, discussions around existing practice and sharing of ideas, good practice and possible ways forward need to involve the whole school community. The above provides just a snapshot of the wide-ranging activities within the primary partnership in relation to the workload recommendations. If you would like further information concerning any of the initiatives mentioned or would like to hear about other actions being taken please do not hesitate to contact Michael Green, the University of Greenwich’s Head of Strategic Partnerships Education.